DAY 6: Barton Street: Our next ‘it’ spot? Posted Saturday, May 25, 2013 6:19 PM EDT by HAMILTON SPECTATOR & filed under Barton St.. The woman with the melodious name looked out the window in astonishment. Jacinta Ribeiro could not believe it. Right across the street from her place of work on Barton Street East, there appeared to be an outdoor market – boxes of fruit and flowers, folks gathering, colour and bustle. It couldn’t be, not on that beaten-down side of the street. It couldn’t be – and it wasn’t. It was a movie shoot. Seeing this make-believe version of Barton was bittersweet. But Ribeiro, like those who notice half-full glasses and silver-lined clouds, focused on the sweet. If anyone might feel otherwise about Barton, it’s Jacinta Ribeiro. She is director of Portuguese Support Services for Quality Living, which assists special-needs adults from all communities and cultures. Its new, bright, spacious office at 760 Barton E. was robbed last September. They took everything – computers, TVs, the Wii. It is a nonprofit business; she had to fundraise to replace what was lost. No one has been caught by police. Ribeiro understands the reaction. Her business is here mostly because the building was affordable. But she also believes the community can evolve and one day be prosperous and warm and inviting. There are others like her who speak positively of Barton in the here and now, of businesses and people who are among Hamilton’s best and brightest. When speaking of Barton’s future, there are those who use the P-word and the O-word. Potential. Opportunity. Others use different words, equating Barton with a hole, adding modifiers invoking biblical purgatory and human excrement, and insist that will never change. What is Barton? And what can it be? While they are works in progress, the iconic streets of Hamilton’s core present different faces of the city, and ourselves, from happening Locke Street to club-infused Hess, artistic James North to internationally flavoured King East and commercially hopping Ottawa Street. Barton? Barton East, from about Wellington Street to Ottawa is the core at its grittiest, which is to say its most real and unpredictable. And this is both a weakness and, yes, a strength. No name has a longer history in this area – Barton existed before Hamilton. It was the name given to the first township surveyed here at the turn of the 18th century, named by Upper Canada Lieutenant-Governor John Graves Simcoe after a township in England. It wasn’t until 1960 that BartonTownship ceased to exist, annexed by the City of Hamilton. All that was left was the street and what was called BartonVillage – the name of the current BIA that covers the stretch from Ferguson Avenue to Sherman Avenue. The fortunes of Barton East and its neighbourhoods have risen and fallen with the fortunes of industry at Big Steel hard to the north. It used to be that everyone wanted to live near Barton or run a business there. The boom times are long gone and the fallout on Barton is well-documented: vacant stores, decrepit apartments, many residents leading painfully stunted lives, the area infected with drugs and prostitution. This part of the city was branded a Code Red area in The Hamilton Spectator’s 2010 series of the same name. It was a label that drew attention of city officials to take action – “there probably isn’t a neighbourhood development office without Code Red, ” said Paul Johnson, director of Hamilton’s neighbourhood development strategies office. “But there’s a stigma from that, too, ” he added. “The story that residents want to tell is about where they are headed. Robert Carley, an acclaimed artist who lives on Bristol Street, just off Barton, is more blunt. Barton’s problems are easy to see but also stereotype. That cover can be jarring. Visit Barton and you’ll see broken buildings and broken people, including a prostitute who regularly works a corner in daylight. Nights are worse with drug dealers and hookers jockeying for territory, sometimes yelling at law-abiding residents to get out of their working space. But it’s illustrative of the hill Barton must climb that, for Hamiltonians on the outside looking in, its weaknesses have come to define the essence of the street. In contrast, on James Street North or Ottawa Street, the sight of boarded-up businesses or folks visibly down on their luck is considered an anomaly, not the frame through which the entire street is seen. Barton has prominent warts and needs an infusion of more investment and productive residents, but, if you look closely enough, you’ll see good things, too, including engaging and unique businesses. There is the legendary 98-year old Kenesky’s Sports store, where manufactured goalie pads were invented, and the father-and-son Armellini Music Store; hairstyling places such as DL Salon and Transitions; and vibrant art on display in the cosy and inviting Tiger Gallery. You can get your fill, and then some, at delis such as Duartes and Starpolskie, serving are-you-kidding-me inexpensive yet heaping sandwiches, rich fruity crepes at Hargitai’s Crepes & Ice Cream, and melt-your-heart baked goods at Gibson Bakery, Vagueira Bakery and Karlik Pastry. You can sample the renowned charcoal-grilled Portuguese chicken at Churrasqueira & Café O Cantinho or the Purple Pear’s bacon-wrapped roasted pear. Meanwhile, behind some doors along Barton, there are residents and living spaces that are definitely not broken. In an apartment near Barton and Wentworth lives Judy, a straight-shooting mother, and her daughter, Samantha, who is a star high-school athlete and honour student. From their window, they often see the woman who works the corner. They hate that she is there. But they don’t want to move from their home. And there’s Patricia Bannan, who lives in an apartment at West Avenue off Barton, in the former West Avenue School. She is 19, on the hunt for a good job, and lives with her pet shih tzu, Harlo, in a unit with wood floors, high ceilings and exposed brick walls. She knows the area has its rough spots but she has no fear; she grew up here. And here is Alex Kadet, a 26-year old man who lives in a former bank building at Westinghouse and Barton, in a spacious apartment with hardwood and two fireplaces. He runs a music lessons business called Think Feel Music. He has an eclectic view of his craft and his street. What is required on Barton, he said, is an attitude change. If you believe Barton is a lost cause, he said, it becomes self-fulfilling. Kadet knows his view is unconventional, but he is someone whose craft is about recognizing the seeds of the possible and finding ways to make them grow, even in those who are convinced it’s impossible. Renewal is in no small measure about a vibe, and vibe is what helped change perceptions of areas in Hamilton like Locke Street, James North and the waterfront, all of which are now considered hip places to be. Clearly, it will take more than attitude to transform Barton Street. But there are three fundamental reasons, beyond positive thinking, why it could be poised to rise again. Call them the three Ps: potential, precedent and present. Potential is difficult for many people to equate with Barton but it exists, and not just in an academic sense, either. You can see it. While there are plenty of buildings that are beyond redemption and should be demolished, one benefit of Barton’s Street’s long period of economic depression has been that other, classic structures have remained preserved from development. In that vein, there’s the attractive West Avenue school-turned-apartment building near Wellington and Barton. “The urban design of the street, the village feel, the built form, it’s got the bones, ” said Hamilton architect Paul Shaker, a partner with architect David Premi in the Rethink/Renewal consulting group. For some, Barton’s proximity to industry is the elephant in the room, a handicap of location it may never overcome. And yet, in some ways, that is a red herring. Consider that the Beach Strip is even closer to industry than Barton, and almost directly underneath the Skyway, and yet it has been renewed and become a trendy place to live. Put another way, it’s a short drive to the steel mills for those who live or own businesses in the heart of Barton Street. But on a hot summer day, those same people can be at Baranga’s on the Beach, margarita in hand and an unobstructed view of LakeOntario, within a few more minutes. To the extent that Barton continues to be seen as a gritty place to live, it may well attract artists, replacing James North as the place to be. Also working to the street’s advantage are what Shaker and Premi call “nodes” of activity on or near Barton. In addition to the BartonVillage itself, these nodes are, from west to east, James North, HamiltonGeneralHospital, the stadium precinct and Ottawa Street. “(James and Ottawa) are two already known pre-established urban success stories anchoring it, ” said Premi, adding that the economic and cultural successes of these areas can spill onto Barton over time. One small example of this happening is the recent experience of Jeff Valentine and his wife, Sarene, who own the Jet Café on King Street East. They were looking to buy a new commercial property. They had explored James North as a possibility three years ago, but waited too long, and with that street’s increased popularity it became too expensive. Instead, they found a place at 746 Barton that had been listed for just a week at a price they could afford, a former banquet hall that was in great condition. Their plan is to turn it into an interactive business space, a place for young professionals to meet and share ideas. Meanwhile, the new stadium under construction – home to the 2015 Pan Am Games and the Ticats in 2014 – is a wild card, in terms of its impact on Barton Street’s success, as is the hospital. Football stadiums and hospitals – like casinos – are often considered “black holes” that people drop into for an activity and then leave, without having any economic or social spinoffs for the immediate community. But when done right, an arena or stadium – such as those in downtown London, Ont., and downtown Detroit – can help create a whole new vibe. Premi and Shaker suggest that the stadium, if designed and managed with foresight to interact and open up to the community and businesses, could positively impact Barton. The potential for benefits flowing from the health-care sector would seem to be much greater. In 2016, McMaster Children’s Hospital will open a new health facility on Wellington near Barton, which will offer greater health benefits to the community and perhaps attract more people to live in the area. As for HamiltonGeneralHospital, about 2,000 staff, volunteers and patients come and go every day from the facility at Victoria and Barton. The Barton area has not yet felt a positive economic ripple effect from the hospital behemoth, although some staffers do wander off the property to frequent Hargitai’s crêperie and Duartes. That will change, if hospital president Teresa Smith has anything to say about it. She has caught the Renewing Barton bug and has met with Shelly Wonch, executive director of the Barton Village BIA to talk about it. “I do think the General could and should play an important role in the revitalization of the Barton Street area, ” Smith said. 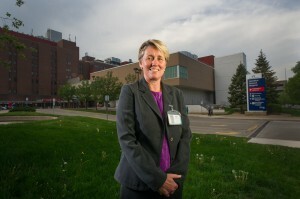 She suggested that if staff at the hospital become more integrated in the community where they work – patronizing stores and restaurants, even living there – then the community will get healthier economically, and, in the long run, fewer patients from the area will end up inside her doors. 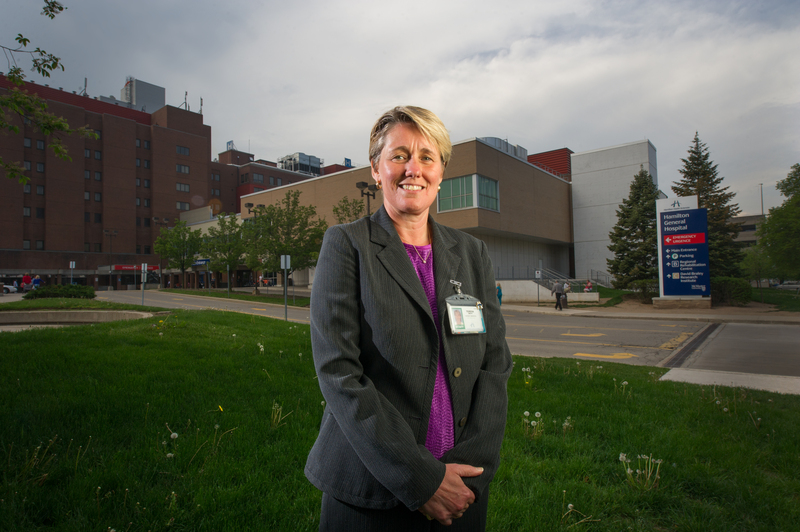 She speaks of breaking down the wall that exists between the hospital and the Barton community, figuratively and literally, during the redesign of the hospital over the next 15 to 20 years. The building seems closed off from Barton, its massive windowless brick wall the only face of the hospital along the street, and a front entrance on Victoria that is not welcoming. Given its issues, renewing Barton might seem a doomed Sisyphean task. But it seems less insurmountable when measured against other challenged urban areas that have been revived. Close to home, James North is one such success story, although it is a shorter stretch of street than Barton East, and its problems were perhaps not as entrenched. More striking is the rebirth of Hamilton’s waterfront. With its parks, restaurants, skating rink and boat tours, the waterfront is now accepted as a jewel of the city. Newer residents may not realize that 20 to 25 years ago, no one could even access the waterfront. It was polluted and fenced-off by industry. The notion of attractive public parks and cafés at the harbour piers was unthinkable. And it’s all just beginning: last spring the city acquired control of piers 7 and 8, clearing the way for redevelopment that will include a mix of commercial, residential and public space on Pier 8. The area has been completely transformed, although not without long and sometimes painful political and citizen engagement. Further afield, in New York City, Harlem and Brooklyn are examples of urban areas with deep-rooted social ills and crime that found new life. Or consider Times Square, which now teems with tourists every day in a family-friendly environment, but 30 years ago was dirty and ridden with crime and peep-show theatres. The challenge urban theorists write about is whether a depressed area becomes gentrified to the extent that lower-income residents are forced out – or, conversely, if it can be “unslummed, ” as the late Canadian urbanist Jane Jacobs called it. In Winnipeg, mass demolition and gentrification seemed to be the future for a beaten-down neighbourhood called Point Douglas. Instead, Point Douglas unslummed itself; residents stayed put and took pride in their homes, the streets were cleaned up. Can Barton Street East join the list of success stories? McMasterUniversity geography professor Richard Harris believes so, although he predicts that other parts of the city may experience renewal faster. Terry Cooke, CEO of the Hamilton Community Foundation, said he is “cautiously optimistic” about Barton’s future. The challenge in gentrification or urban renewal, he said, is building confidence in middle-class families that an area is one where they want to live and raise their kids. Architect Drew Hauser is one of those who believe that Barton can one day become, if not a gentrified high-end part of town, then a much cleaner and safer and prosperous area. Theory and practice come together with Hauser, a principal at McCallum Sather Architects Inc. He not only sees what Barton can be, but has put his money where his hopes are. Hauser bought the former bank building at 541 Barton and renovated the units. The ground-floor unit may become a signature location on the street once a new café opens there this summer. The café, to be called The 541 Eatery and Exchange, will be managed in part by Michael Bowyer, a pastor, community volunteer and self-described foodie who once worked as a chef. Bowyer calls the café business a “for benefit” enterprise – for the benefit of the community, a place to assist and empower those who live in a mixed-income part of the city. The café will offer top drawer food and coffee/espresso products for those who live and work in the area, catering to everyone from young professionals to businesspeople and artists. The space should also offer a productive environment with Wi-Fi for students to do homework. One day, if the story of the rebirth of Barton is written, Hauser will be spoken about as one of those who took risks and had vision. He said he’s getting $800 rent on those same units. Hauser is not looking to hit the jackpot with his investment in Barton, at least not in the short term. But he speaks with passion about building something beautiful and lasting and important in the community, something that will make money and contribute toward renewal. Other property owners on Barton would not share Hauser’s optimism, especially those who can’t afford to finance renovations that would allow them to charge the kind of rent that would attract responsible tenants. Other owners have tried to spruce up their properties, but have still been burned by tenants. For example, The Spectator’s Steve Buist wrote earlier in this series about a property owner who renovated three units and rented them out, only to see tenants destroy two of them. In the here and now, investors with vision and financial means would seem to be the exception on Barton Street East. Hauser is no doubt aware of this, yet he speaks of the area rising from its challenges like a phoenix – because he has seen it happen elsewhere. 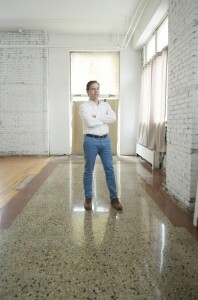 Years ago, he bought and renovated a building in the depressed Junction area of Toronto. 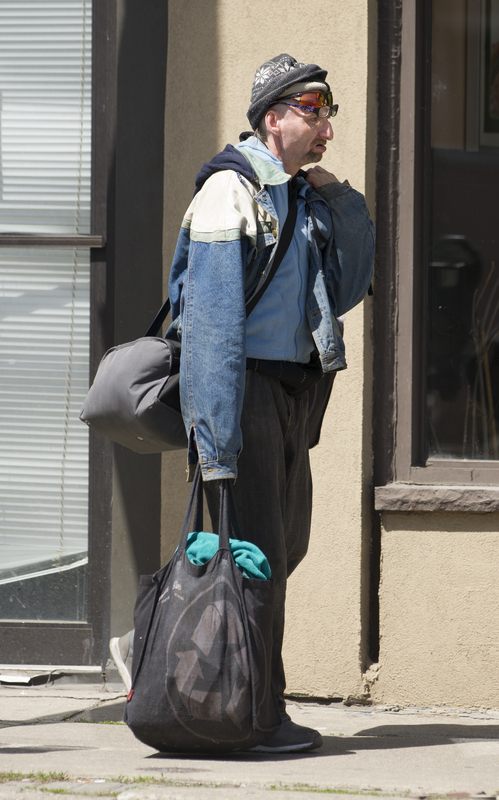 Over time, the neighbourhood bounced back, drove drugs and prostitution away. He believes that Barton will never become a gentrified Cabbagetown – the community in east Toronto that was rundown but revived, its Victorian homes restored by young professionals in the 1970s. Hauser thinks that’s a good thing, though. He sees a future Barton as a quilt of mixed-income, culturally diverse people. Perhaps the biggest reason to believe Barton may rise again is that there are signs of it happening already. 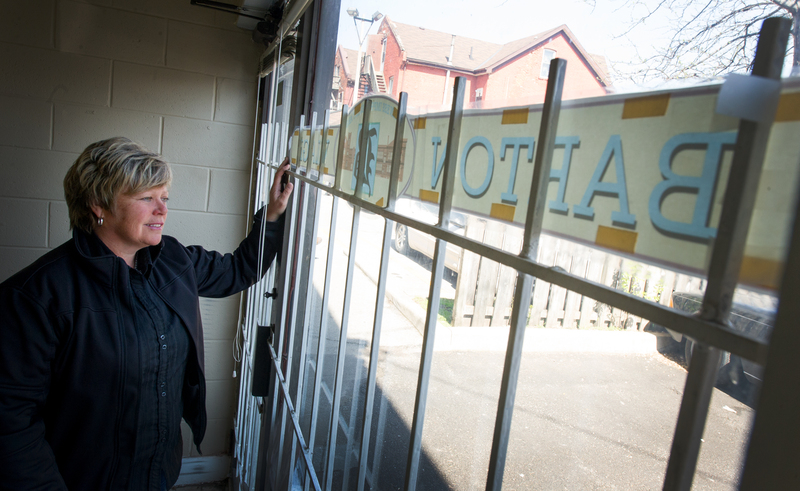 That’s the impression left by Shelly Wonch, director of the Barton Village BIA and a tireless promoter of the area. Wonch bows her head at the praise. “He told me that same thing a while back and I swear it brought a tear to my eye, ” she said. She loves these people, this neighbourhood. It is not an act. The BIA has been engaged in several initiatives. Its office is moving July 1 from its current location that is rundown inside and set well back from the street next to an auto garage. The new place, at 448 Barton at Wentworth, in the Bombardieri Uniforms building, will be far more visible and accessible. Another recent initiative was having two signs built, for $30,000 each, announcing the boundaries of the village. Some might roll their eyes at spending that kind of money on signage, but small bits of beautification – signs, flowers on the median, lights at Christmas – are all pieces of the urban renewal mix. This is the gist of the “broken window” theory, which helped Manhattan change its image from dangerous and filthy to the most popular tourist destination in the U.S. The theory, championed by former mayor Rudy Giuliani and developed by social scientist James Q. Wilson, suggests that the way to renew a neighbourhood and a city is, in part, to develop intolerance for even the smallest blemish on the face of the community – if one building window is broken, one wall defaced with graffiti, you fix it immediately, because one piece of blight leads to others. This has clearly been the case on Barton Street, where one beaten-down property has enabled another to unhappily coexist next to it. Wonch applauds a recent city initiative where $100,000 has been allocated from the capital budget to conduct a land-use strategy on Barton Street East, studying the area block-by-block to reassess zoning and other needs and explore how the area can be rejuvenated more quickly. A request for proposals will soon be sent out and a consultant hired, followed by public input discussions, with a final report due next fall. Glen Norton, Hamilton’s manager of urban renewal, said the exercise is all about determining what will make Barton a successful street and neighbourhood, and what the people there want to see happen. A development that could one day assist citizens to envision and impact plans for the area is virtual modelling software. 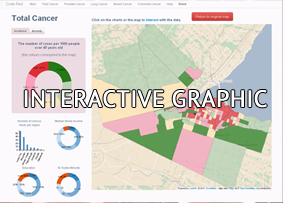 The city is partnering with McMasterUniversity and Mitacs, a national not-for-profit research organization, to develop Virtual Hamilton, an urban planning tool. Barton Street is the first area that will be mapped on the model. Paul Johnson, who directs the city’s neighbourhood development office, said it’s important that people realize it’s not just huge projects that will take Barton forward. He added that, in the end, renewal initiatives require citizen engagement – and he has seen plenty of it from neighbourhood residents like Steve Calverley, who is one of those people who goes to planning meetings to listen and speak up. Calverley said he is optimistic for the future of the area because of the fibre of its people. Shelly Wonch said she receives calls every week from people in and outside Hamilton looking to invest, inquiring about vacancies, asking questions about the Barton Village BIA and the area. Anthony Quattrociocchi is one of them. 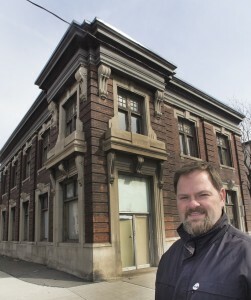 He purchased buildings between 407 and 413 Barton, across the street from the BIA office. His Toronto-based company, Yoke Group Inc., has renovated four residential apartments, with four more on the way, as well as four commercial units, the latter renting for $935 to $950 a month. Matthew Green, a local investor who owns a gym called Freestyle Fitness on Ottawa Street, said he’s bullish on the prospects for Barton and wants to purchase his next property there within five years. What the street needs, he said, are not speculators who buy and sit on their property for years, but those who want to contribute here and now. Green, who is 32, is among the new breed of young businesspeople. He calls himself a social entrepreneur. The migration of Greater Toronto Area residents to more affordable, safer – and arguably more interesting – Hamilton is a proven fact, local realtors say. They add that, anecdotally, these people are increasingly choosing the lower city – if not right on Barton, then within shouting distance of it. “How do you know when Toronto is too expensive to be hip? When artists move to Hamilton, ” proclaimed an article in Toronto Life magazine called Steeltown Revisited. Amanda Herman, who works in communications, and husband Michael, in the arts, moved to Hamilton recently from Toronto, buying a 100-year old house on St. Clair Avenue, five minutes south of Barton, for $269,000. Not long after settling here, while visiting the Art Gallery of Hamilton, they met and became friends with local artist Robert Carley. Carley came to Barton Street eight years ago, when few dared to choose living there. No, Robert Carley does not think small. And when he sees Barton East, he sees possibility. He didn’t always think that way. 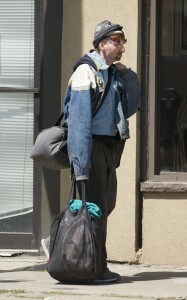 He lived in Vancouver, and then Toronto, where he lost his studio. He was looking for a new place to set up. He searched in Oshawa, Ajax and Belleville. Hamilton was not part of the plan, much less Barton East. Who the hell wants to live in Hamilton, he thought? Then he checked out a listing at 30 Bristol St., 100 metres south of Barton. He loved it. His realtor warned him: It’s not a good area to live. Carley was unmoved. It was a bargain at $157,000. He paid what the seller asked, ignoring his realtor’s advice to bid lower. Carley holds art shows and sales at his home studio, the next on June 8 and 9 from 1 to 5 p.m. He has seen folks from Ancaster come to his shows, approaching the Barton area with trepidation. Carley is 72, and lives with his wife, Glenna, who worked as a dancer and actor in TV and theatre for 40 years, in Canada, the U.S. and Australia. His eyes burn with intensity when he speaks of his neighbourhood. Carley sees it all clearly – what Barton is and what it can be. The question is: Can Barton evolve so that it continues to attract new believers, a critical mass of people and businesses, so that, while its bruises and social issues do not vanish, they are increasingly seen as peripheral to the soul of the place? Think again of the Beach Strip. What comes to mind – the less than elegant motel on Beach Boulevard, smokestacks and the Skyway? Or is it the sand, lake and waterfront trail? 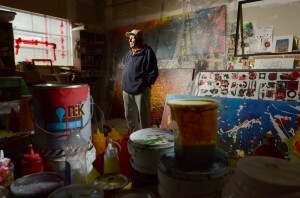 Carley stands atop dried splotches of paint on his studio floor, his paintings stacked against the wall. His work is mostly abstracts – bold strokes, explosions of colour that draw you in, daring you to decipher them. What does that one mean? And that one? Maybe the patterns and colour are random and mean nothing. Or maybe they are death and life and love and ambivalence and eternity and ocean and fire.